Printed as "The Ritz Paris"
For more than a century, the Ritz Paris, in the 1st Arrondissement, was the original “palace hotel,” the standard against which other luxury lodging worldwide was judged. It was the frequent abode of not only royalty, but billionaires, celebrities and VIPs of every stripe. Coco Chanel stayed for 30 years, while Gary Cooper and F. Scott Fitzgerald were regulars. Ernest Hemingway drank there so frequently that they named the hotel bar after him. It is now decorated with his personal memorabilia. Yet the world’s most famous hotel was ready for more than a facelift, and the current owners undertook a $450 million, four-plus year renovation under the watchful eye of renowned designer architect, Thierry Despont. In mid-2016 it reopened. The Ritz is still very much the Ritz—only better. The goal was to completely but invisibly update the property without losing an ounce of its classic charm. The number of rooms was reduced to 142, while increasing their size (half are now suites). The bathrooms are fantastically upgraded, sporting vast walk-in showers, separate sunken tubs and heated floors. Flat-screens are framed like museum canvases, and behind the walls, the hotel’s guts have been rebuilt for superior water pressure and high-speed Internet. Beloved general manager Christian Boyens and bartending legend Colin Field both stayed. Field used the down time to perfect his new masterpiece, the “Clean & Dirty Martini,” a version of Hemingway’s Dirty Martini, using frozen olive juice to tidy it up. The two-story spa and health club was completely rebuilt and now includes the world’s first Chanel-branded beauty facility. The lobby houses five new luxury retail boutiques. 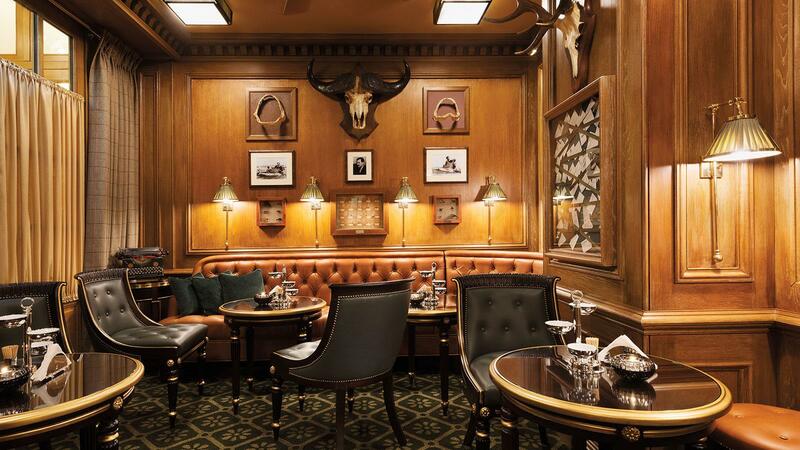 The former Ritz Club nightclub became an elegant bar and brasserie serving classic French comfort foods. A retractable glass atrium allows patio dining all year round. Elaborate gardens create an escape in the beating heart of the city. A refined salon was added to serve afternoon tea. The Michelin-starred gastronomic eatery, L’Espadon, was redone, and the Ritz got a new executive chef, Nicolas Sale, who previously earned two stars at both of his Courchevel restaurants.